Mick O’Neill Swimming Award winner and rising Ballarat swimming star Josh Brien has had a top six finish in the Australian All-Age Swimming Championships in Sydney. A Ballarat Gold Swimming Club Member Josh claimed sixth place in the boys 12-13 years’ 100m backstroke final. Josh qualified for the 10 strong final with the 8th. fasted time – 1:5.44 seconds. He then bettered his PB of 1:5.42 in the final which bettered his personal best by 2.46 seconds. Josh also smashed his 200m backstroke PB by 5.45 seconds. He produced a 2:22.09 swim in the heat which ranked him 12th and only one second outside a qualifying time for the final. Congratulations to Josh a worthy winner of the Mick O’Neill Encouragement Award. Brett O’Neill, Craig Schepis and Josh Brien. 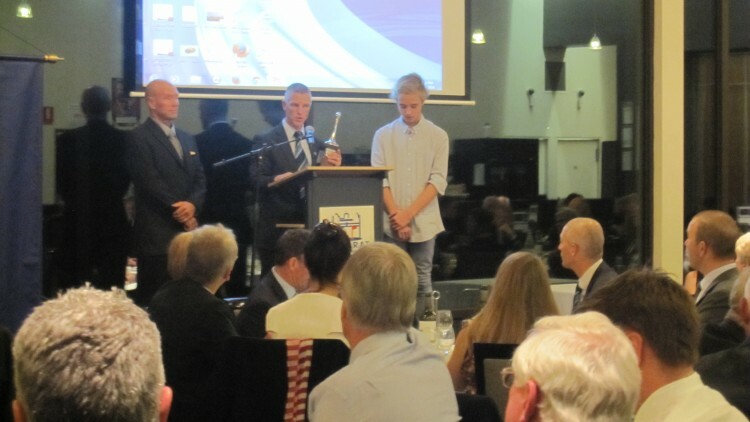 The Ballarat Sportsmen’s Club at it’s April dinner acknowledged and congratulated a young swimmer with the “Mick O’Neill” Encouragement Award. This award is being generously presented by the Club in memory of Club member & Past President Mick O’Neill who passed away in 2001. Mick was, along with Morgan Murphy, the driving force behind swimming in Ballarat and the formation of the Ballarat swim club. Mick became interested in coaching and commenced the club’s traditional Tuesday and Thursday evening sessions developing the younger swimmers, and is still continued today. It was suggested by the Club’s committee on Mick’s passing that his contribution to swimming always be remembered, which led to the inclusion of this prestigious award. It is intended that the award recognizes a young swimmer who demonstrates ability and determination to succeed, two characteristics really appreciated by Mick in his involvement with the sport. The trophy (originally designed by Darrell Chibnall) signifies a drop of water. Since josh was a baby, the pool has been a great place to play, particularly with his grand-father. 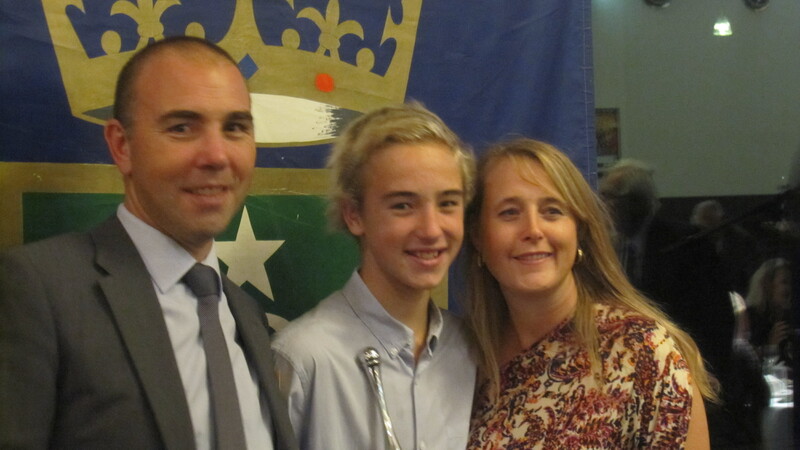 He has been swimming competitively since he was 9 or 10 with the Ballarat Gold Swimming Club. Backstroke has proven to be the favourite right from the start and has seen many personal bests in just about every competitive swim. Butterfly has also become a favoured stroke. Over the past 12 months, while representing Ballarat Gold Josh has brought home many medals and continued to PB for his events. Late last year Josh’s hard work really paid off when he competed at the Victorian State Age championships in December. He qualified for the 100 and 200 backstroke for National Age Championships, being held in Sydney late April. At that same swim meet Josh broke the 100m backstroke country record twice in the one day! His efforts at Vic State Age resulted in 2 silver medals, and multiple PB’s. January 2014 at the State Country championships, Josh brought home 3 gold medals for 100 Backstroke, 100 Fly, and 100 Freestyle and 1 bronze for 100 Breaststroke. Josh was also named best swimmer in country Victoria for his age group.